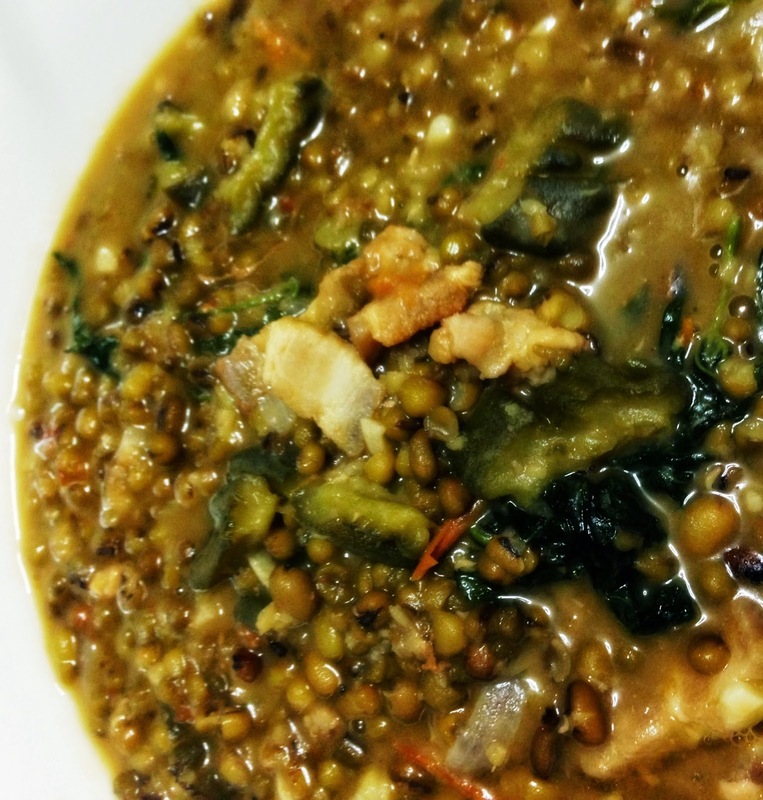 Munggo Bean (Mung Bean in English) is a great ingredient that can be mixed with other vegetables, meat and spices to create a delicious Filipino dish. Here is a Time Travel Recipe by Willie Evangelista on how to cook a delicious dish - the Guisadong Monggo. Boil monggo in pot of water until skin is slowly removing itself from the seed then set aside. Put pork, salt and water in another pot. Bring to medium heat until water is reduced. Add cooking oil to fry until golden brown, set aside. Heat cooking oil and saute garlic onions and tomato in a large sauce pot, then add fish sauce and ampalaya fruit. Add the boiled monggo including the water and cover to simmer. You may add water if you wish. Add fish sauce and salt to taste. Add ampalaya leaves then mix and let simmer for another 5 minutes. Plate Guisadong Monggo. Served best with fried GG (galunggong).